The documentation of GeneWeb uses Mediawiki since October 2015. The wiki needs your help to keep growing. Feel free to create your account to contribute! GeneWeb is a free open source genealogy software written in OCaml by Daniel de Rauglaudre, searcher at the Institut national de recherche en informatique et en automatique (Inria). The tool, distributed with GNU General Public Licence, is available on Unix, Linux, Microsoft Windows and Mac OS X platforms in Danish, Dutch, English, Finnish, French, German, Italian, Spanish and Swedish languages. 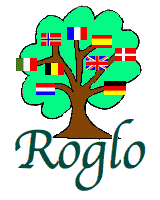 Roglo uses GeneWeb and contains more than 6 millions individuals. GeneWeb uses a very light web service that can support any number of genealogical databases. Its multilingual interactive user interface supports unlimited number of individuals, families and events through any web browser including Chrome, Firefox, Internet Explorer and Opera. Like a HTTP server, it creates new HTML pages from its databases for each request. It can be installed on a local computer or a distant web server as a daemon or using CGI to share over the Internet your genealogy. The utility gwsetup provides a friendly web interface for configuration and maintenance. GeneWeb displays birth, death and wedding anniversaries. It also shows some statistics like oldest living persons, recent weddings or deaths, age pyramids at a given year. Since GeneWeb 7.00, all kinds of personal and family events are managed with dates, witnesses, notes and sources for each event. Global and individual notes use wikitext syntax and allow internal links between individuals, extra images or HTML documents. GeneWeb can import and export genealogical database in its own GW format or in GEDCOM file format. Data not compatible are preserved in notes. GeneWeb is one of the few genealogy software that comes with an efficient relationship and consanguinity rate calculator. It can help to understand inbreeding in families. Passwords secure databases for both friends (access to private data) and wizards (update permission) accounts. Private datas can be protected with a customisable configuration file, for example to hide people born less than 100 years ago. Access to each individual page can even be filtered one by one. The appearance of the interface can be customised with templates and, moreover, tweaking CSS. A specific programming language allows to build new templates. GeneWeb allow to search for titles of nobility and display them in a timeline. It can search names with spelling variations and women can be searched by their maiden name. This page was last modified on 11 September 2016, at 03:52.